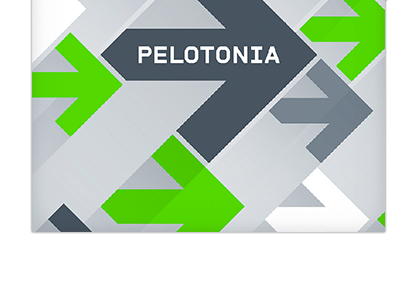 2014 marks my third year riding in Pelotonia. After August 9th, I will have been on a bike exactly three times in the past 10 years. In 2012, I showed up to the Columbus Commons at 6AM not knowing if I could stay upright on a bicycle. I came armed with a borrowed bike and two flat tires (luckily the Pelotonia crew is ready for riders like me with bike pumps on site). I don’t need to say much more to describe that I am not a biker. It’s likely that someday I will be, maybe when Ultimate Frisbee takes less of a priority in my life. Pelotonia has made me get on a bike to fundraise and raise awareness for cancer research. Always the second weekend in August, this event usually starts a jam-packed day for me. I wouldn’t want it any other way. Last year, I went directly from my Pelotonia ride to my summer league tournament, and from there to a wedding. This year, Cory Tressler is riding 50 miles to the finish line to then jump on a plane to a fishing trip in Canada. Just like me, I’m sure Cory wouldn’t want it any other way. Every rider has his or her story of why they ride. Melissa Miller got back the Pelotonia bug (riding in 2010) and joined our Team Buckeye peloton. Melissa is riding from Columbus to New Albany in support and memory of her family members who have battled cancer. Also on the 50-mile route, Liv Gjestvang a recent cancer survivor, is riding out of gratitude for good health. She hopes to give back to families who, like hers, benefit from the great patient support and research done at The James. Thanks to Marcia Ham, David Lindstedt, and Henry Griffy, who have shown their support by becoming virtual riders. Their fundraising and awareness efforts are greatly appreciated. (My pre-apology if I left any riders out.) An additional shout-out to ODEE/OCIO Leadership, who have generously backed participation, funding, and awareness of Pelotonia 2014!